Weighing 12 grams and sporting a silver coil and titanium cantilever, the Audio Note IoI (alpha I and o, numeric 1) is a medium weight moving-coil flaunting the slenderest of body widths among cartridges. Silver coil is a nicety among cartridges although, curiously, the company doesn’t offer boron as a material for its cantilevers but its higher-end models have alnico (IoI, IoII) and then field coil (Io LTD, $19,635.33 with PSU) magnet systems. Especially when the hook up cables were the Audio Note Sogon and SP-x silver RCA, the four connectors on the back of the slender IoI were arranged necessarily in close proximity to each other. Tonearm leads of standard thickness from many tonearms would have the tightest fit into the IoI. The IoI doesn’t have predrilled mounting holes, requiring nuts and bolts for installation, a cause for minor grievance for having to hold the tiny nut against the body of the cartridge, considering even the $949 Zu Audio Zu/DL-103R II Grade 1 comes with predrilled mounting holes. Peter, please think about the things you can do to make a reviewer’s life easier. Luckily, the included hexagonal nut was a magnitude easier to use than a circular one as any one of its eight flat sides provides leverage against the cartridge’s body when the screw is being put through it, which effectively stops the nut itself from turning. A round nut would’ve offered no leverage and plenty of agony to install. The IoI’s specified horizontal compliance is 10 but it felt like 5 as its soft cantilever made coupling with the TriangleArt Osiris II, Clearaudio TT5, TT2 and Universal tonearms marginal at best. The Oracle SME 345 was the other tonearm after the Arm Three/II able to handle the IoI as of this writing. The IoI’s long body made for easy VTA adjustment on the Oracle SME 345, an advantage shared by the rectangular body of the $6k Kuzma CAR 50 or the $10k Koetsu Jade Platinum, which are being auditioned. And when a user does wear out his/her IoI, he can send it back to Audio Note UK for a rebuild, at a cost of $1,051.48 as of this day. There is a complete AN page of delicious tidbits on its cartridges at the following website. The IoI was specified to have a VTF range from 1.5 gram to 3.5 grams, and Andy Whittle of Audio Note UK recommended a stylus pressure of 2.2g +/- 0.2g as a starting point. So, I set the tracking force at 2 grams initially and went gradually all the way up to 3 grams, where I found the dynamic contrasts, spatiality and tonality at their best form, the sound mesmerizingly inviting. There must be magic from the silver in the cartridge through the silver in the cables to the phono preamp, for this lightweight cartridge packs a big sound and the crystal-clear lower to upper midrange makes it the most tonally vibrant moving coil I’ve heard in the sub-$6k range, surpassing perhaps even the $5,500 IoII in terms of sheer value. Playing the Deutsche Grammophon 1982 digital Karajan Brahms Symphony No. 1, the Audio Note IoI produced some of the most powerful presentations of this performance to date, with the strings in high coherency and layered texturally, full of body and smooth as silk. No longer was this music dreary and full of itself. There is such a thing in analog music listening as listening to music for the beauty of the sound, and the IoI makes the case profoundly. Then, a considerable bottom-end manifested itself in the recreation of bass drums and double basses. This tiny cartridge brought out nuances in recordings with ease. The virtues of the Audio Note were further displayed with the close-miked jazz piano solo from the Newvelle Records Season One Box Set by Jack DeJohnette in an LP titled Return, in which the IoI and Arm Three/II manifested overwhelming dynamic scaling and deep tonality. Although the Kuzma CAR 50 and Koetsu Jade Platinum both exhibited considerably more nuance and additional attributes, such as more expeditious transients and voluminous in scale, the Audio Note IoI proved a solid value at less than half the cost of the Kuzma and an even greater discount to the Koetsu. The IoI’s performance got a particularly big boost when the $45k Pass Laboratories Xs Phono came into play. Featuring 76dB gain at maximum and a 47k ohm input impedance setting, the Xs enabled the IoI to reach even quieter depths, and a whole new world of transients and dimensionality presented themselves panoramically. While the $3,800 Pass Labs XP-15 phono preamp was the most commensurate in price to the IoI cartridge and Arm Three/II, and the combo brings a musical and very exacting sound within reach of many audiophiles, the $45,000 Pass Labs Xs Phono preamp proved most commensurate in strength to the Audio Note, revealing the most intricate and powerful performance from the tonearm, adding testament to its screaming value. Both the Audio Note Arm Three/II and IoI moving-coil cartridge scream performance and value. Rarely is a single manufacturer willing to approach an audio system the way Peter Qvortrup does, hoarding a warehouse full of vintage audio tubes and silver components for long-term production schedules. 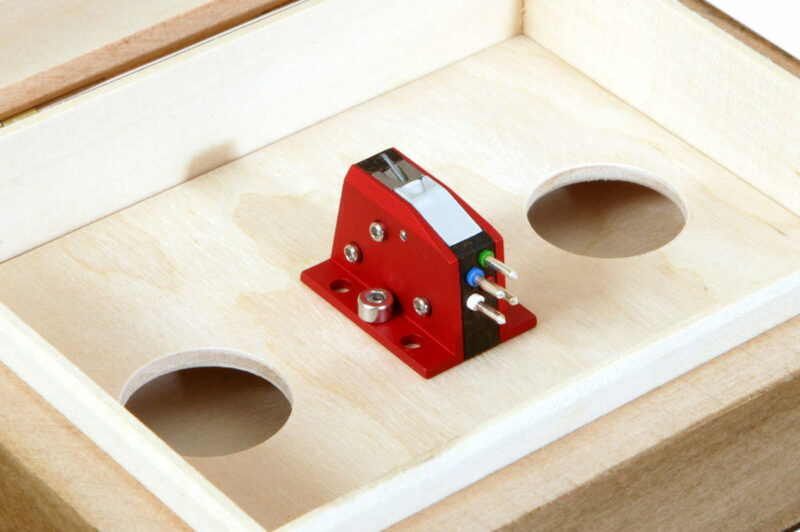 One of the advantages of such a business model is the ability, when paired with Audio Note’s expertise, to incorporate the strength of one product aspect into another, such as the case of the captive silver tonearm cable of the Arm Three/II, as well as the design of a complimentary cartridge. For readers wanting the least fuss in system setup and the most fun, the Audio Note Arm Three/II and IoI is a winning package.